Red-Robin is finally back on a bat-book. It's taken a long time for that to cook. Thank God for the Talons. Now they can open their Salons. Near that German village called De Verde Brook. Or else somewhere near Writer: Judd Winick; Artist: David Finch; and Publisher: DC Comics in April 2012. Sieg Heil Heels. 'I Can No Longer Be Broken' is a part of the 'Court of the Owls' saga, and reminds me of wasted mouse cheese. You can only put it out there for so long and hope for a decent end result. You see, many a year ago, fear crept into life of the Talon who was once called Alton. He first felt fear when the ringmaster instigated the fire that ravaged his young body. He then felt fear when 'the court' was planning to replace him with a young circus acrobat. And he finally felt fear after he had a run in with Batman, prompting his masters to put him into suspended animation, until his services were needed once again. Today, however, on the eve of Alton attacking Lincoln March, this Talon starts to comprehend other emotions as well. Pain. Anger. And revenge upon all of the Bat-clan. ... because it shows that these 'Terminator-like' killers do have a focused work ethic behind them, although not much of a conscious. I suppose that it was a nice change of pace for this 'event' to focus an issue from the villain's perspective. Moreover, I did not mind the despondent and sorrowful tone that this tale had as well. Very sad. I am afraid to say that this story did feel very disposable within the larger tale. It was as if I could sense from the very first page that whatever I was then going to read, was in someway redundant to the 'bigger picture'. My presumption was mostly correct. Also, I was lead to believe that this book was going to be a Red-Robin solo-exploit. Oops! Damn you cover!!! STORY: One of the concepts I did enjoy whilst reading this issue, was how the story began near the end of the tale, and then worked its way from start to finish. OK, I know that this type of novelistic technique has been done many-many times before. Nonetheless, this time it was relayed fairly well, and was complemented by a rather hopeless and earthy spirit. ART: There is one panel in this book which shot tingles straight up my spine as soon as I saw it. Its the one where you get to see Batman, Nightwing, Red-Robin, and Robin, all on the same page together. Poster please!!!! ALTON: Alton is a bit of a moaner, right? 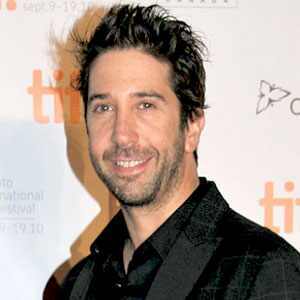 And so is one time 'Friend's' co-star, David Schwimmer, too. Are you thinking what I am thinking? Good idea. I get the matches. THE RINGMASTER: Doesn't Jorge Garcia from the hit show 'Lost', look like someone who could stick a small child into a barn and set fire to it? No? Oh! Must be just me then. It's Not Easy Being A Trained Assassin For A Secret Society. You'll Never Get A Pension. So conceptually this was a story about some moaning git who was led down a tragic road full of hardship and hate. Hmmm. Come to think about it, it is very simple what this tale could be music-wise. Morrissey is a moaning git. As heard in the Smiths song 'Please, Please, Please Let Me Get What I Want '. At times the worst thing about cross-over events; is that each part of the story needs to feel relevant within the 'bigger picture'. This one didn't. It felt like a good concept inserted within a comic book that did not know what it wanted to br. Please note, I am not trying to imply that this tale was completely cr*ap. Far from it. 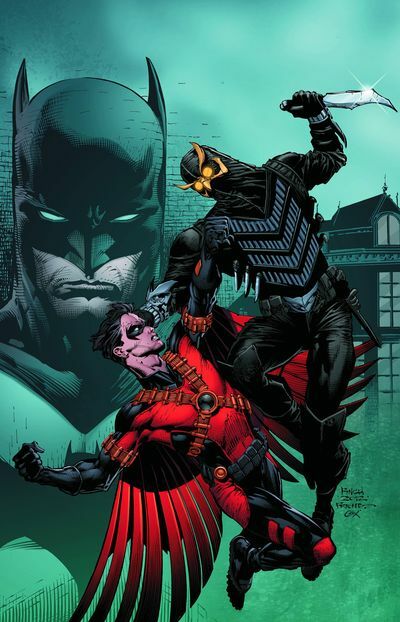 Just that that most of the concepts and ideologies have already been relayed in this saga (mainly in the Nightwing book), and the only thing different about it, is the perspective. Slightly.